This is the sheet that I give in class when we are discussing Ch. 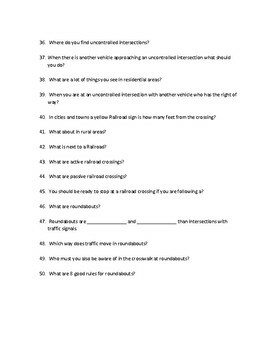 10 Negotiating Intersections. 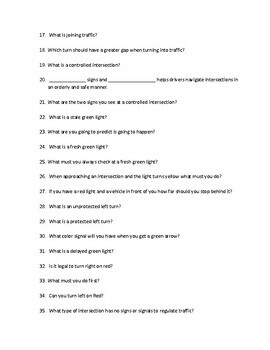 The students take notes off of it and answer each question as I go over the PowerPoint in class. 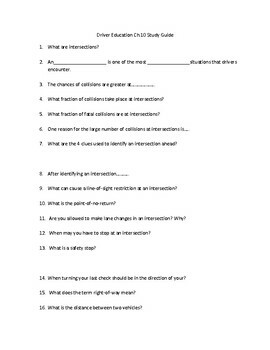 Students have found it very beneficial to study this sheet for the test. It is a great way to teach and them and give them a test to study with at the same time. Let my hard work go in and make you a better teacher and be able to spend more of your time doing other things in and out of the class room. If you like my Driver's Ed. stuff make sure you checkout my World History and World Geography stuff.